You get to the ATM, insert your Debit Card with the PIN number and withdraw cash successfully. You get to the ATM, insert your Debit Card with the PIN number and your transaction gets declined. So, you don’t get any money. You get to the ATM, insert your Debit Card with the PIN number and your transaction gets declined. But, you immediately get a notification through SMS that your account is debited. What to do now when you come across situation 3? Sometimes ATM could genuinely be faulty and may not record the transaction details accurately, could be out of cash, could be connectivity issue, could be malfunctioned, or could be a case of fraud. 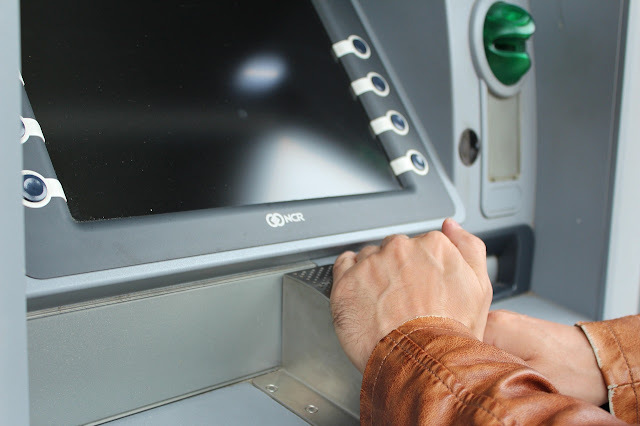 These days it’s very easy for fraudsters to attach a skimming gadget to an ATM. A skimmer gadget looks exactly like the card reader at the ATM. It is disguised to look like the genuine card reader and it’s easy to fall prey to such a trick. This fake reader skims/reads your card and stores its details. Hence, it’s essential that you always check the slot machine before you swipe your card. This is Vandana’s story which shed a light on the rule that ATM cards are non-transferable? She is a resident of Bangalore, had given her SBI Debit Card to her husband to withdraw money as she was carrying a child. The SBI ATM just delivered a slip showing that money has been debited without dispensing cash. She raised a complaint with SBI regarding the issue. But SBI rejected the claim referring to the ‘non-transferable’ rule as in this case the ATM user was not the account holder. As a last resort, the couple approached the consumer court. However, the court too dismissed the case. They stated that Vandana should have given a self-cheque or an authorization letter to her husband, authorizing him to withdraw money from her account. Vandana learnt it the hard way. But her story is a lesson to us all. ATM cards are non-transferable. So, in case you’re allowing someone; whether a family member or a friend – to withdraw money using your ATM/Debit Card/bank account, you must provide a self-cheque or an authorization letter permitting him/her to do so. Now coming back to what you should do when the ATM declines your transaction and debits your account. Most of the banks these days have a phone-banking facility, you can call up your bank’s customer care number, which is usually written at the back of your Debit Card. Post confirming your identity to the executive, inform about the incident quoting your transaction slip and the reference number. Usually, the executive will give you a service request number and investigate the matter. Upon verification, if this was genuinely an error from bank’s side, the bank will refund your money to your account within 7 working days. If your problem still hasn’t been solved or if you weren’t able to get in touch with your bank through phone-banking, you can visit your banks nearest branch to raise this issue. The helpdesk/service executive at your bank will take down your complaint and direct it to the right individuals/teams that will look into the matter and reverse the transaction for the incorrect debit. If you’re not satisfied with the first two steps or if you haven’t yet received your money that was wrongly debited, you will have to take this to the next level. This means that you need to escalate it to the branch manager of the bank where you hold the account. A person of authority can make things move quickly. Every bank also has a Grievance Redressal cell that looks into matters with utmost priority. If you get on to your bank’s website you will be able to find Customer Grievance Redressal section wherein you can post your complaint. The grievance cell will look into these issues and resolve within 2-3 days. If the amount has not yet been reimbursed despite your follow-ups and through other steps, post 30 days of your written complaint with the bank, you can reach out to Banking Ombudsman directly. Complaints can be sent in writing or online through the RBI website. In most cases you will not require to go beyond point number 4. But in a worst-case scenario, you can always seek legal counsel to get this problem addressed. The NCDRC is a quasi-judicial commission in India which was set up in 1988 under the Consumer Protection Act of 1986. If your issue still hasn’t been resolved, then you sure have a fair chance of getting it sorted after you’ve reached out to the NCDRC. More often than not, if your transaction at the ATM didn’t go through and your money was wrongly debited it is because the ATM is faulty. And in most cases, the banks are rather taking the initiative and will help you get your money back. Undoubtedly, it will need some effort from your end and the steps above will certainly help you through the chase. Stay Alert and Stay Safe.